Tell us a little about what’s inside. 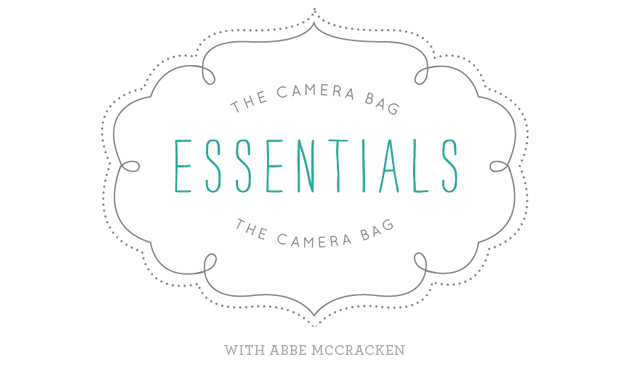 I carry one amazing full frame camera and three super sharp prime lenses with me at all times. They all fit safely and securely in my Shutterbag Safari along with about 500 other things I didn’t even show you including batteries, chargers, my iPad and more. 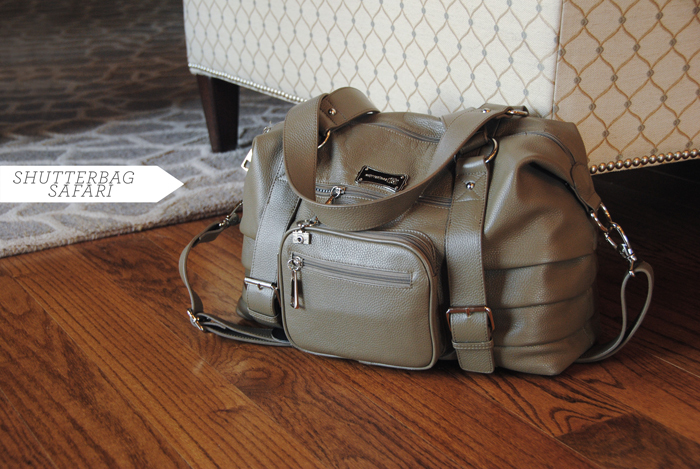 It’s a really spacious (and gorgeous) bag. I’ve had it for over three years and the leather still looks brand new. I’m not exactly handling it with kid gloves either. It’s on the ground at sessions, at the ball park, at school, in the car. I’m still amazed at the quality and durability. 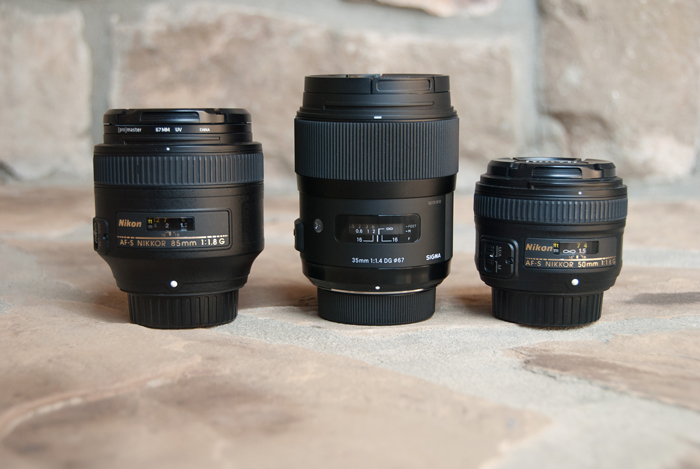 Which lens is your go-to? That’s a trick question because it depends on what I’m shooting. If I had to pick one, it’d be the 85mm but I love my 50mm and 35mm too. And honestly, I should add my iPhone to the “go-to” contenders. While I’d never use it for a client session, I use it daily for my own Instagram 365. I really probably “go to” it most often. But the sharpness of my prime lens simply can’t be beat. I’m a Nikon girl but I adore Sigma’s new Art Glass line too. My 35mm from that line is crazy sharp. I shoot all three primes pretty wide open most of the time and really, really love the results from these lenses. Most used item in your bag? Wet wipes. What can you NOT use wet wipes to fix? I photograph families and kids so everything in my cleaning supplies section gets a lot of use. Even the dental floss. Young kids usually get snacks during the session … sometimes we need mom to floss out a gummy or two. Big kids with braces … you understand. Least used item in your bag? The aperture disks for my Lensbaby Composer Pro. I simply haven’t had enough time to really put them to work. For now, I’m using the 5.6 aperture disk which is a great starting point for learning how to bend light, use the tilt control and find the lens’ sweet spot. 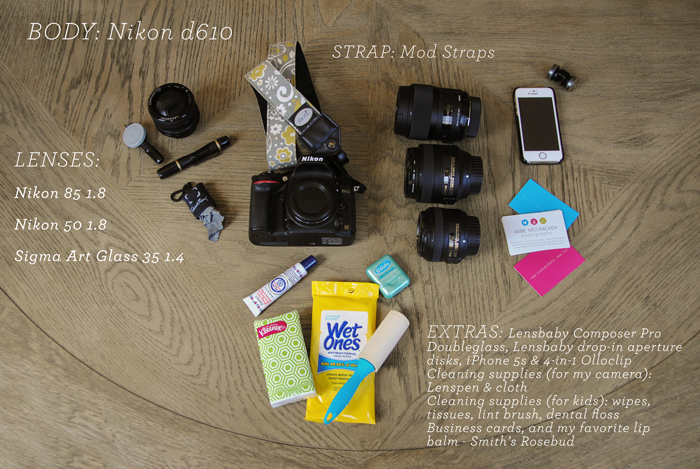 Thanks, Abbe, for showing us what’s in your bag. We especially love your most used item, and appreciate you sitting down to share more with us! For more of Abbe’s great writing and attention to detail, be sure to bookmark her website, Like her Facebook page, and follow her on Instagram.